You are what you wear. Or are you? Contributed by Rhonda Rinehart. This is the first installment of the “Psychology of…” book of the month blog series. It has been said that we are what we eat. Can the same be said for clothes? Are we what we wear, or does what we choose to wear have implications beyond mere style or utilitarianism? And ultimately, how is our identity defined by what we wear? Two books at CCHP turn to psychology to answer these sometimes philosophical questions. Fashion, it turns out, has a checkered past. Revolutions, tyrannies, martyrs and reformers have all put their respective stamps on the humble act of covering the human body. But is it really such a humble act? 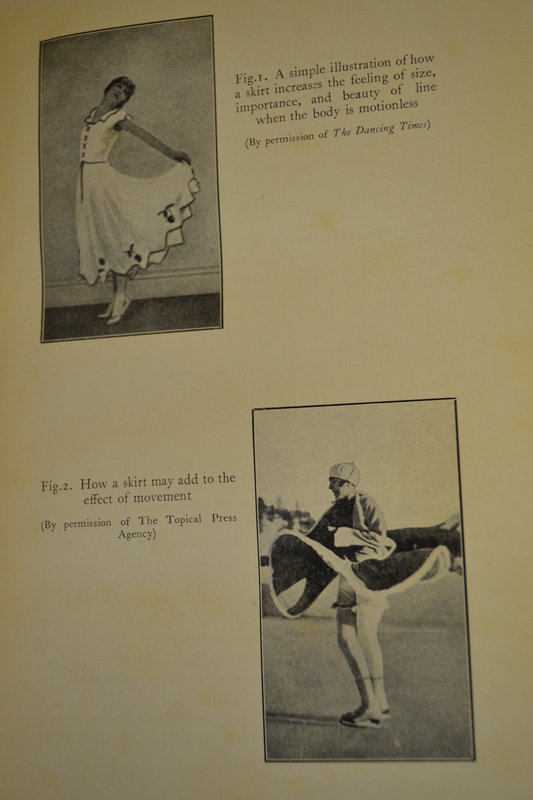 The Psychology of Dress: an Analysis of Fashion and its Motive, published in 1929, paints a rather tawdry picture of fashion’s history and the mostly ego-driven reasons pushing it forward. The Psychology of Clothes, published twenty-one years later, focuses on the more clinically-defined psychological factors behind the clothing choices people make. These factors borrow ideas from Thorndike and Freud but project an equally nefarious history of clothing. 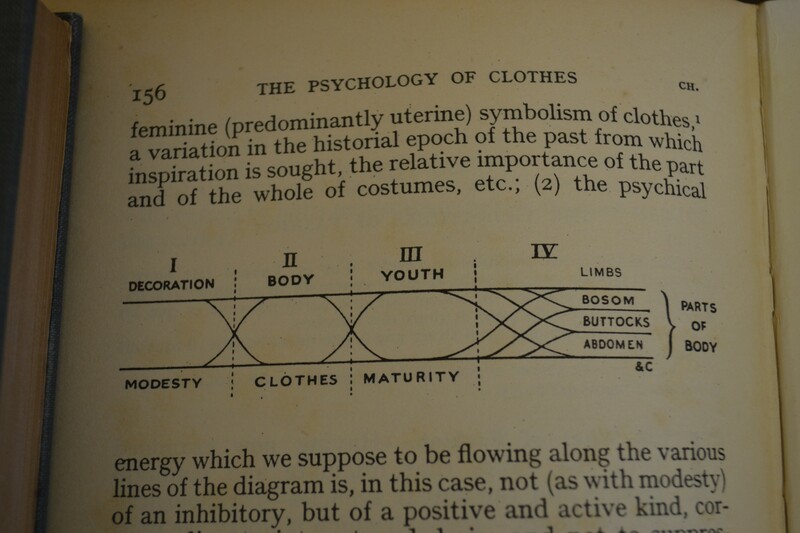 Page from The Psychology of Clothes, emphasizing the relationship between clothing and well-being. As with anything involving Homo sapiens and our big brains, the mere act of dressing oneself is at once complex and complicated. 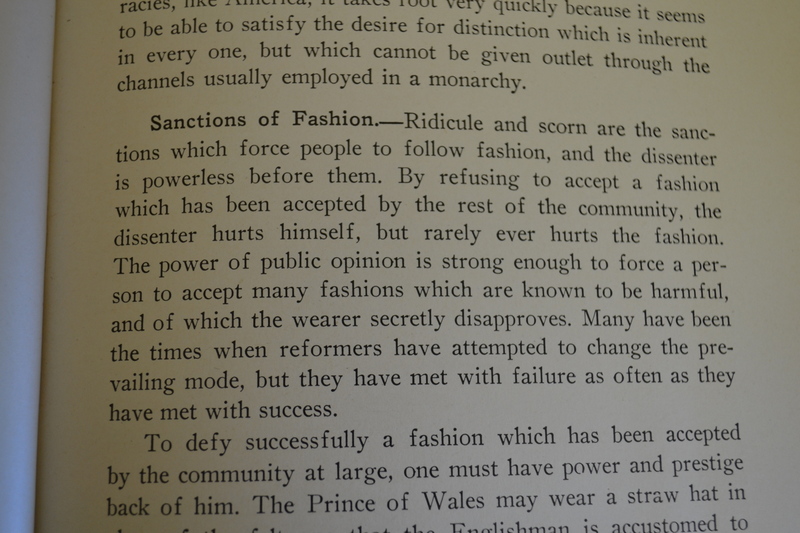 People follow fashion, according to author Elizabeth Hurlock in Dress, for fear of ridicule and scorn. And if you’ve ever experienced either (ask me sometime about my clothing-related experience as a high school sophomore), you know this to be a true assertion. Fear plays a huge role throughout fashion’s narrative as a catalyst for larger historical movements, largely movements in which fear of belonging or fear of rejection play a role. The price of not following fashion trends – from The Psychology of Clothes. 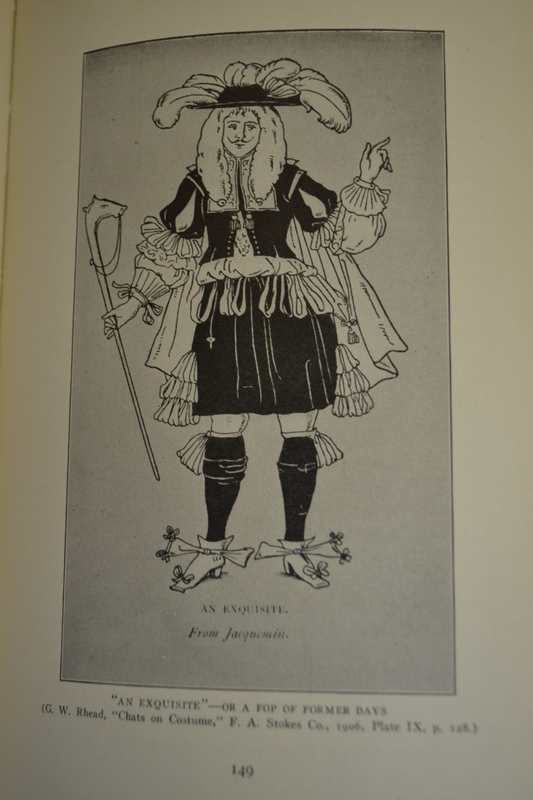 Historically, women suffered many health problems at the hand of fashion, regulatory laws prevented social “inferiors” from copying clothing of the aristocracy, and clothing marked one’s social status. These events all ended in rebellion and eventually, reform. 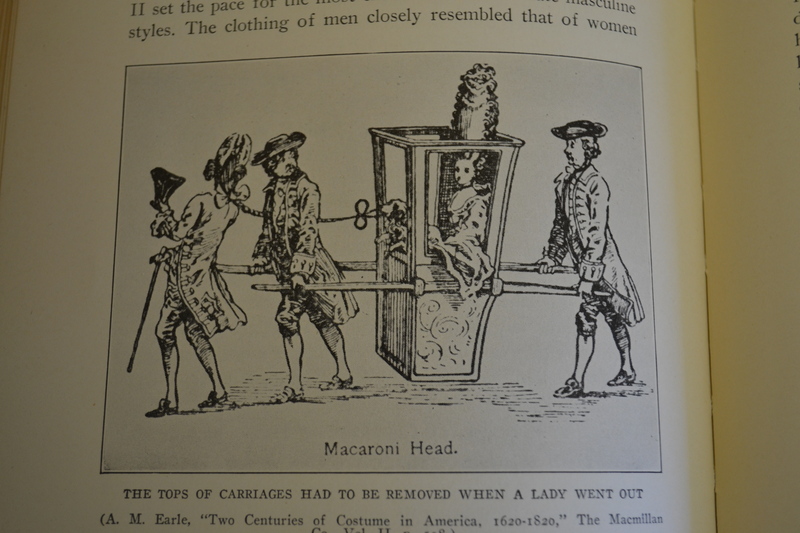 These two popular trends in hair and clothing represented of prosperity and wealth – both images from The Psychology of Dress. In Clothes, J.C. Flugel names nine different individual differences, or personality types, that he states control our clothing choices. Do you find yourself in one of these categories when you get dressed in the morning (or in the afternoon)? Diagram from The Psychology of Clothes depicting gender choices in clothing. So we’ve come full circle. That same riddle is still perhaps unanswered: Are we what we wear, or do our choices in clothing define us? Whether we are fashion pioneers or fashion followers has a lot to do with our experiences and our socioeconomic status. So perhaps that answer lies with the ability to make choices; and it is power that determines whether we get to make those choices or whether they are made for us. Both titles from the Ludy T. Benjamin, Jr. library at the Cummings Center for the History of Psychology.